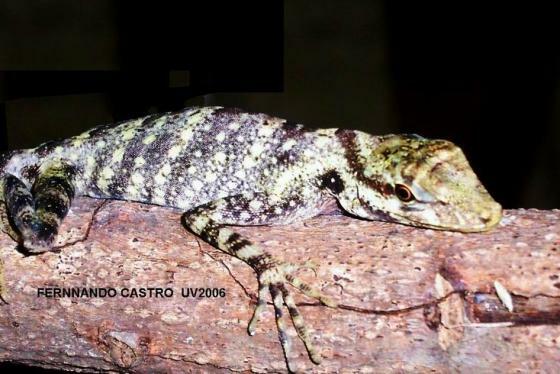 Can you confirm these amateur observations of Anolis eulaemus? Type locality: Las Pavas, Colombia. Types Type: BMNH 1946.8.13.31 (and possibly additional specimens). Comment Distribution: Not listed for Ecuador by TORRES-CARVAJAL 2001. Species groups: Dactyloa punctata species group (fide NICHOLSON et al. 2012).